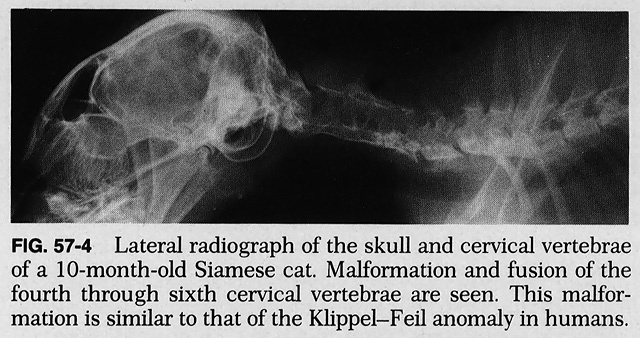 A number of skeletal deformities can affect the health of cats. Whilst not common ailments, deformities either genetically inherited or caused through care choices can be a possible issue for your pet. This abnormality effects the growth and development of bone and cartilage where bony growths arise from the surface of long bones, vertebrae and ribs. 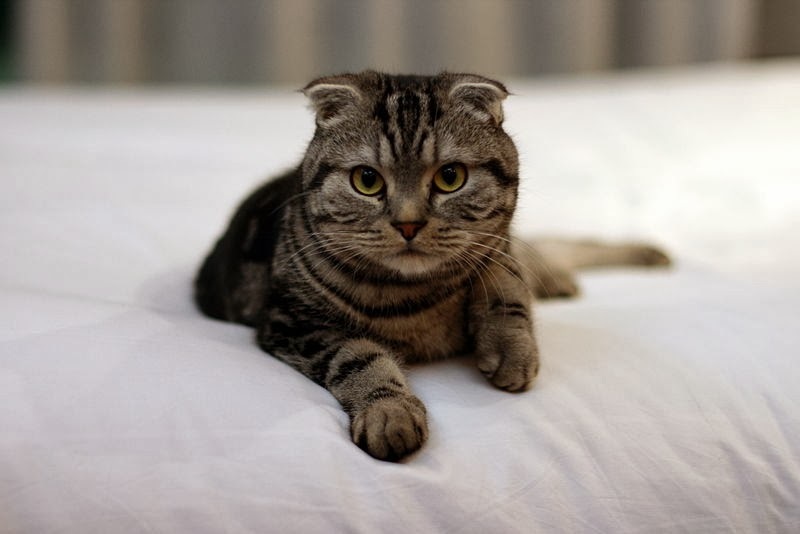 A genetically acquired problem, breeds such as the Scottish Fold are particularly prone. The symptoms of osteochondrodysplasia include a larger than normal head, an undershot jaw with shorter nose, crooked teeth due to shorter jaw, abnormal bone shape, poor growth or lack of growth, enlarged joints, bowed forelimbs and spinal deviation to either side of the body. Cats will seem as if they are arthritic from a young age, movement difficult and painful. Treatment involves the surgical removal of bony growths. Cats fed a diet that is all-meat, high phosphates and low in calcium, can result in nutritional secondary hyperparathyroidism. 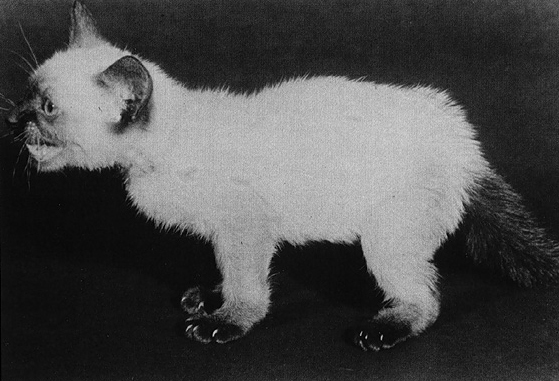 The lack of calcium leads to thin and weakened bones which can be reversed by quick supplementation and a new balanced diet – however if deformities have already progressed substantially, the cat’s outlook is bleak. Cats on a diet high in Vitamin A (such as those eating vast quantities of liver) can develop bony outgrowths from the vertebrae, elbows and joints of the legs. These deformities, which inhibit normal movement and may cause the cat pain, can also lead to nerve damage. A quick change in diet when symptoms first develop can put a stop to emerging issues, though skeletal deformities already suffered are likely for life. 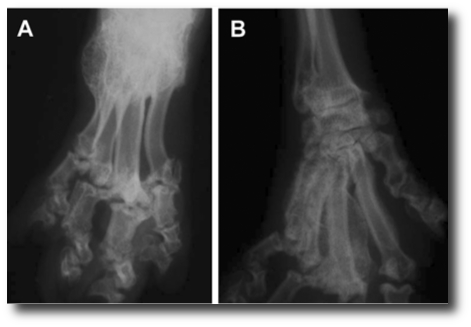 Osteosarcoma is a form of bone tumour that affects cats. Usually impacting on the legs, it can also occur on the skull and nasal bones. Sudden limping is the usual symptom and the condition can be diagnosed via biopsy. Osteosarcoma is not as common in cats as it is in dogs and also tends to be less aggressive.